A poinsettia that will last forever, no watering needed! 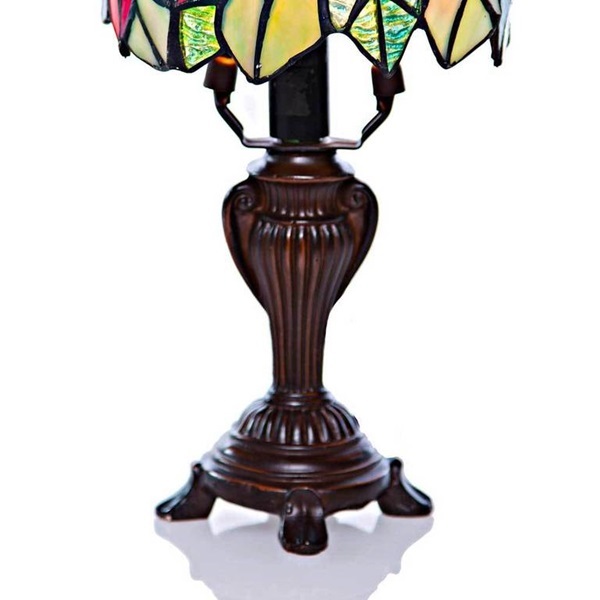 Ideal accent lamp for a gift for that special someone or for your own home. 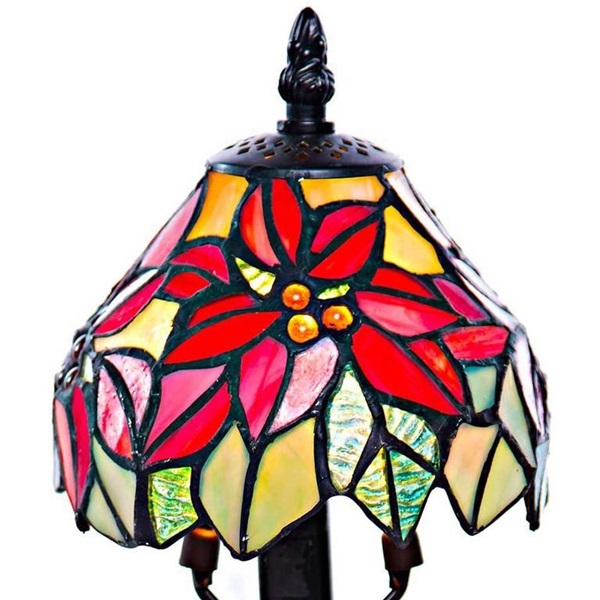 The shade is designed with vibrant red poinsettia flowers that are complemented by accents of green and yellow glass. 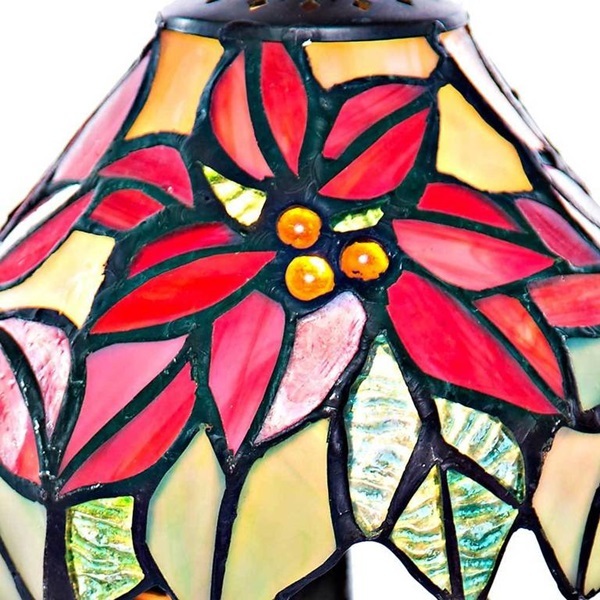 Handcrafted with 102 pieces of glass and 12 cabochons, this piece is sure to bring warmth to any room.